According to Morgan Stanley, for Elon Musk to one day realize his dream of making Tesla the world's most valuable company, targeting the market for 'miles, data and content' should start becoming part of their strategy, if they haven’t incorporated it yet. 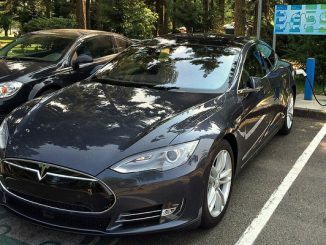 Tesla (NASDAQ:TSLA) initially made itself known as a tech startup that was focused solely on making electric-powered cars. That of course has changed. The company is now known for being so much more than just an automaker. Aside from its EVs, the electric-car and sustainable-energy company has expanded to solar panels and energy storage (via their Powerpacks and Powerwalls). Obviously, Tesla seems to be doing something right with these three lines of businesses given the fact that its value keeps on rising. Just a few days ago TSLA was able to surpass the value of German luxury car maker BMW, peaking at $61.6 billion versus BMW’s $61.3 billion, momentarily becoming the world’s 4th most valuable auto maker. At the time of this writing, though, Tesla’s market cap is $65.48 billion and BMW is worth approximately $61 billion. And these numbers make sense if one considers that Tesla’s gross profit margin is at 24% versus BMW’s 20%. It should be noted that several months ago, the company was also able to overtake Ford Motors and General Motors — two of America’s most valuable auto makers. 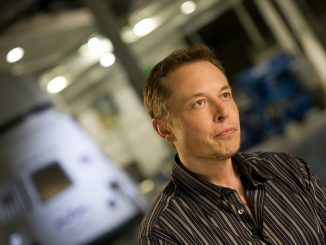 In spite of these feats, however, and amidst detractors’ views that Tesla is a bit overvalued, one prominent analyst who estimates the global market for mobility being at around $10 trillion, says that Tesla’s aspiration to become the next Apple or Amazon isn’t purely a shot at the moon, so to speak. We’re referring to Morgan Stanley’s Adam Jonas. Among other things that Jonas told investors on Monday was that in their view Musk’s dream for Tesla is achievable, but the way to do it will not be through their cars, solar roofs or Powerwalls, but rather through ‘miles, data, and content’. He pointed out that more than a year has passed since Musk first brought up the idea of a ‘Tesla Network’. Nothing much has been heard about it since then, but they believe that ‘this quiet period cannot last much longer’. As explained by CNBC, the fact that Tesla could transmit data to and from its cars makes it possible for the company to do more than just perform maintenance and system upgrades. They can also gather all kinds of data, including diagnostics and feedback, which they can then integrate with content and services they can offer to widen their customer base and at the same time enhance and improve customer experience. This is what can potentially drive the company’s market cap even higher, on the way to its ultimate goal of reaching the top. Jonas also shared contrasting scenarios about the direction Tesla is heading. At best, Tesla stock could go as high as $511. At worst, ticker can drop to as low as $175. Presently, his base price target stands at $305, which he attributes purely to Tesla’s auto business ($233/share) and Tesla Mobility ($72/share). At last check, Tesla stock was trading up nearly five point at $380.66. Needless to say, at current levels the name seems way overbought. So investors and momo players should be careful to consider this aspect in their short-term strategy when playing the name. That’s the problem with people who trade tsla expecting a large payoff, when you buy tsla, you first have to believe that Tesla Motors with be a world leader in electric Vehicles (EV’s, then you should invest in tsla & not expect a large return right away. Tesla is like making a good sauce, you first have to sear the meat in olive oil & garlic, then put it all in a large pot with tomato sauce, tomato paste more seasonings, a dash of red wine, and then let it simmer for 3 to 6 hours. A good Italian sauce is not made fast, it takes time & patients, & it’s the same with tsla, but you also have to believe, & I believe in it because of what GM did in 1999 when they crushed all the EV1’s they made in favor of fossil fueled cars. Americans want cars that don’t give them expensive problems, low maintenance, no fossil fuel consumption, & electric energy that would be accessed from our sun every day. An electric vehicle would give an owner that & more, much more, but is not used because the oil companies refuse to give US what we want or need, it’s all about their profits.